From early milestone moments to special rites of passage, everyone wants to honor and celebrate special occasions cherished by their religion. Don't let these traditions pass without browsing the religious occasion invitations and announcements available to you at LookLoveSend.com. When you send a beautifully printed LookLoveSend invitation to family and friends, you convey the importance of sharing the occasion with them. A quality, printed invitation makes clear your wishes for their participation in a time-honored tradition, and conveys the simple significance their presence will bring to the event for you and your child. 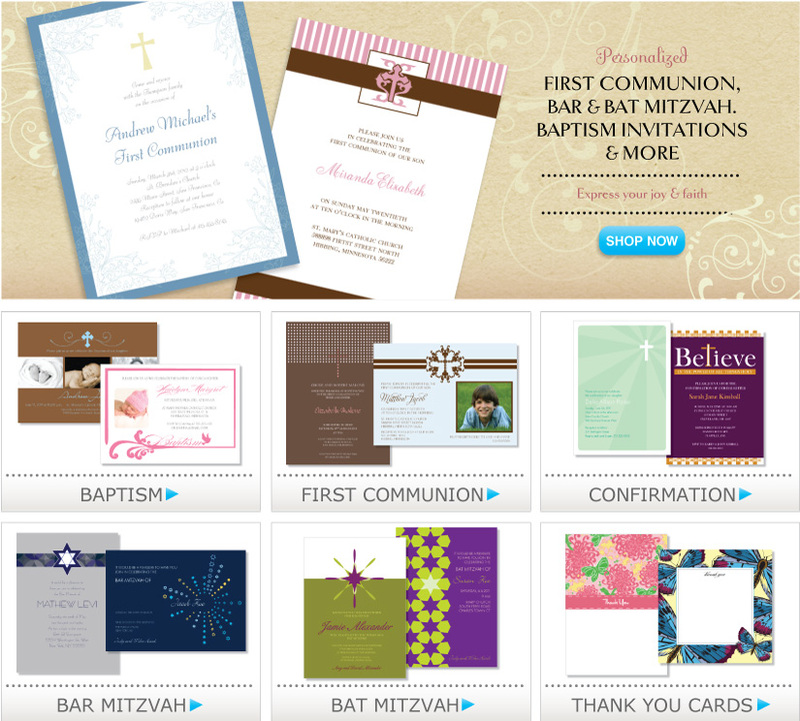 From Christening and Baptisms, First Communions, Bar Mitvahs and Confirmations, LookLoveSend.com offers an array of thoughtfully designed invitations and announcements to suit your style and taste. Each design reflects the same level of unique, original artistry found in all of our stationery collections, from wedding invitations, custom holiday cards, baby birth announcements and more. You can be sure your invitation or announcement will be professionally printed on the highest quality paper in keeping with the significance of the occasion.